In 2017, MSF wound down its projects in Russia, which focused on tuberculosis (TB), mental health and cardiac care in Chechnya. The vast territory of the Russian Federation spreads from eastern Europe right across the north of Asia to the edge of the Americas – it is the largest country on earth. It is also one of the most populous, with over 143 million people. Médecins Sans Frontières/Doctors Without Borders (MSF) first started work in the Russian Federation in 1992. Since 2004, MSF had been working closely with the Chechen Ministry of Health to implement a TB treatment programme. During the year, the team gradually handed over its TB activities to the ministry, admitting its last patient at the end of August. A total of 156 patients have been treated since June 2014. By the end of the year, 60 extensively drug-resistant TB patients were still on treatment. The Ministry of Health has committed to ensuring continuity of care for these patients. In 2017, MSF started treatment for 27 TB patients co-infected with diabetes, regularly monitoring their blood sugar and helping them to manage their conditions. In 2017, teams provided individual psychosocial care for 868 patients and 44 group counselling sessions for victims of violence in the mental health programme. This project was closed in March. After seven years of activity, the cardiac care project in the emergency hospital in the capital, Grozny, was closed in December. During the last year, MSF focused on ensuring the technical autonomy of the interventional cardiology team. MSF continued to support cardiac care by supplying drugs and medical equipment, improving the quality of treatment for acute patients, and training doctors and nurses. In 2017, the cardiac resuscitation unit admitted 1,568 acute patients, 504 of whom benefited from an angiography (an imaging technique to examine the inside of coronary arteries) and 315 from an angioplasty (a procedure to widen narrowed or obstructed arteries). 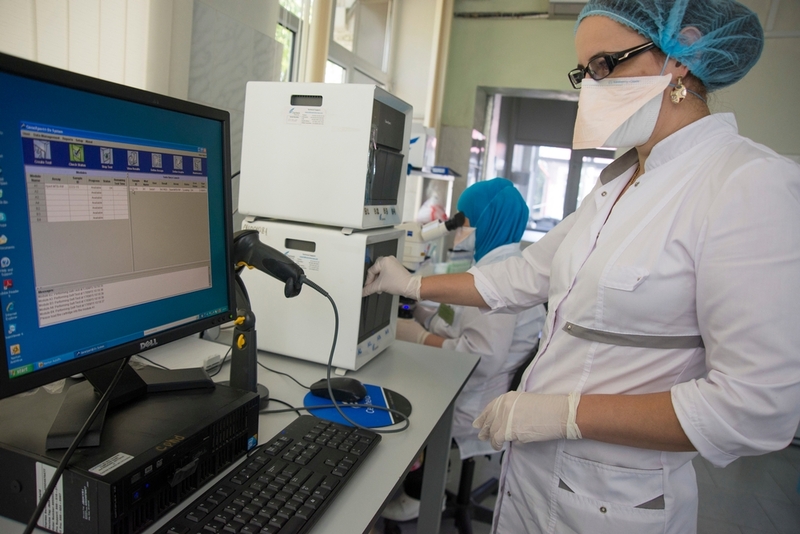 Bacteriological laboratory of the Republican TB Dispensary in Chechnya, rehabilitated and equipped by MSF.